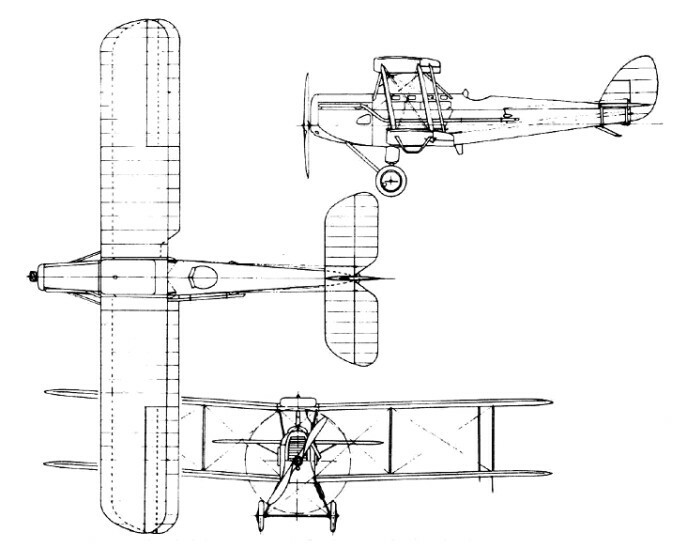 In 1922 de Havilland used the experience gained in its operation to design a replacement for war-surplus D.H9s, the de Havilland D.H.50. The D.H.9C's Siddeley Puma engine was retained and they carried four passengers in an enclosed cabin between the wings, with the pilot to the rear in an open cockpit, first flown on 30 July 1923. It was flown by Alan Cobham to compete and win first prize in reliability trials which were being flown daily between Copenhagen and Gothenburg from 7-12 August. In 1924 Alan Cobham entered the King's Cup with the prototype D.H.50, G-EBFN, with which he won at an average of 106.6 mph. 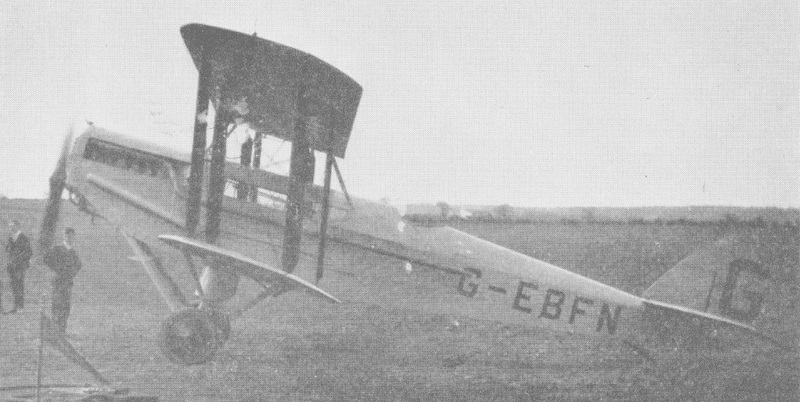 Cobham made several long-distance flights with the prototype before using the second aircraft, powered by a 287kW Armstrong Siddeley Jaguar radial engine and re-designated D.H.50J, for a 25,749km flight from Croydon to Cape Town, carried out between 16 November 1925 and 17 February 1926. This was followed later in 1926 by a survey flight to Australia and back, for which twin floats were fitted. The second DH.50, G-EBFO, was fitted as a floatplane. Initially 14 DH50As were built; 9 for an Australian order. One, sold to QANTAS in 1924, later became the first aeroplane to be used for the Australian Flying Doctor Service. QANTAS began building DH50s at Longreach in the late 1920s, and the first was completed in August 1927. Four DH50As and three DH50Js were completed. In 1925-26 one of these aircraft, refitted with a 385 hp Jaguar radial engine, was used by Sir Alan Cobham for his famous survey flights to Cape Town and Australia -behalf of Imperial Airways. West Australian Airways Ltd was formed at Perth in 1921 to operate Geraldton-Derby airline and licensed to build the de Havilland D.H.50 in Australia. They produced their first aircraft in 1926. Larkin Aircraft Supply Company built a single D.H.50A. Seven were built by Aero in Prague, Czechoslovakia, and three D.H.50As at Brussels by SABCA in Belgium. The SABCA aircraft were used in the Belgian Congo. Of the total de Havilland production (17 aircraft), only four were based in the UK, two of them with Imperial Airways. One went to the Czech.government, 10 to Australia and one to New Zealand. 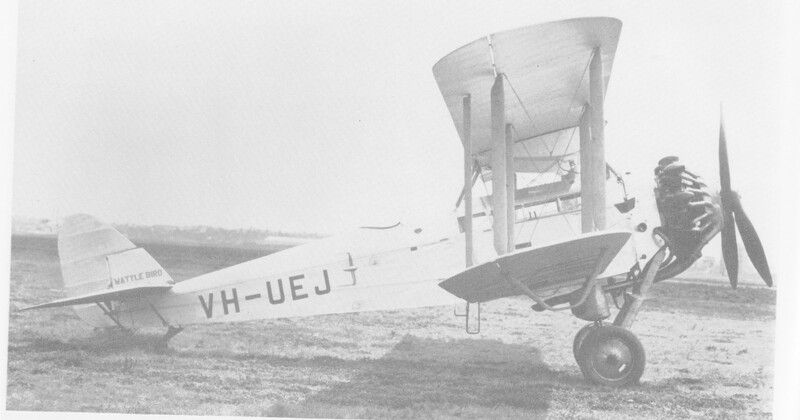 The one in RNZAF service was from 1927 to 1931. The longest survivor was the 15th British production aircraft, delivered in 1928 to the Australian Controller of Civil Aviation and destroyed by enemy action in New Guinea during 1942. A wide variety of engines was used in the D.H.50 family; including the 224kW A.D.C. Nimbus, 313kW Bristol Jupiter IV, 336kW Jupiter VI, 384kW Jupiter XI, 336kW Pratt & Whitney Wasp C and, in the Czech-built versions, the 179kW Walter W-4.